[Updated] ITIL V3 Foundations is clearly designed to meet business requirements of those who will be selling it. Does it also meet the needs of those paying good money to attend? Let the debate begin. ...I've recently attended a train the trainer course and none of us are very happy. The problem is that APMG have crammed far too much into the course and it will be a struggle to do it in 3 days; consequently the whole course is very high level with the majority of processes getting no more than 4-5 slides each. Only Incident and Change get any real in-depth focus which then creates disparities with the other disciplines. The feeling is that this is more of an overview than a foundation and it will therefore prove difficult for people to go back to their companies and make sense of this due to the lack of detail. This says to me that the quality and usefulness of the material has been only one factor amongst others in the decision to cram it into a timeframe set by the vendors. Let the market decide whether they got it right. What will be sad will be if they did not. There is a risk that the ITIL movement will suffer because of this and ITIL go into decline not because of failing in the content but because of failing in the delivery to the market. The ITIL world may live to regret the increasing influence (some would say stranglehold) of vendors on ITIL if the market rejects it due to inadequacies introduced by commercial greed. Previous story: ITIL Version 2.5: Will we see hybrids? Submitted by David Jones (not verified) on Fri, 2007-10-26 07:38. Having just read the comments on V3 I would like to add my comments. I am and have been a very committed to ITL concepts for the best part of 15 years. I am a consultant and lecturer as well as being a V2 examiner for the BCS, so I feel I have enough experience to comment. V2 did need to be tidied up - anyone who has worked with it for any length of time will know that. The concepts in V2 were not just in Support and Delivery but in a few other books as well i.e. Business Perspective, Planning to Implement, ICT, Application Management and Security Management. Most people (and I fear Pierre Bernard in particular) seem to forget this. That the concepts of Strategy and Design were not addressed is true and that of course is where V3 now becomes very useful. My main worry here is that there is a lot of nonsense being spoken about "must go", "must do", "must upgrade" to V3. ITIL V2 concepts and qualifications are still valid and will still deliver benefits to both the organisation and the individual. I am also concerned that Pierre Bernard seems to think that the Foundation course was only 2 days, the original syllabus was constructed to be delivered over 3 days and it is only in the last year / 2 years that organisations like Pink Elephant have been able to deliver it in 2 days - which did require the examining body to agree and accredit the course materials seperately from the usual 3 day event (by the way I worked for Pink Elephant/Pink Roccade for 8 years). So the view that 3 days for V3 is acceptable is somewhat jaundiced I feel. I have colleagues who have delivered some of the V3 courses and believe the whole event to be rushed. Personal view is that V3 will take some time to settle down and even then I still do not believe that not all people who work in IT will need to understand the Strategy and Design concepts. Far better I feel to have the Foundation focus on Transition, Operation and Improvement phases. The Strategy and Design could come in at the Capability and Lifecycle levels (V2 Pratitioner) and then go on to be explored in even more detail in the Diploma levels (V2 Managers). Submitted by Liz Gallacher on Fri, 2007-11-02 17:27. Following the announcement on 12th October from the Qualification Board regarding the issues that have been raised regarding the time spent on Service Strategy and CSI at Foundation level, I have just received this from ISEB. "Further to the APMG communication sent on 12 October, ISEB have received several enquiries concerning the proposed changes to the V3 Foundation Syllabus. During the last conference call with APMG this was discussed, and EI’s were advised that there is a proposal to issue an interim replacement Syllabus, which is adjusting the time to be spent on these 2 areas, with a potential reduction of approx. 2.5 hours in the overall learning time at the Foundation level.....As per the previous notification any such changes will be reflected in the Foundation examination papers, further communication will be sent in this respect, including a confirmation of the date of the changes to Examinations, once this information has been received from APMG." So - I have V3 classes to deliver, and training materials to prepare. Until the new exams are available, I will need to cover the old syllabus, which is now universally agreed to be unbalanced. Could this not all have been avoided, with draft papers available much earlier to ATOs? If you waited for V3 to settle down before sitting it, you can congratulate yourself for your foresight! Submitted by ianclayton on Fri, 2007-11-02 22:14. The ITSM View had an interesting opinion on the approach taken to develop all ITIL exams - I took a liberty today and expanded on it via my own blog.... in the form of 20 steps to developing a credential - some of which could be viewed as part of the UKAS requirements/ISO 17024 and what we have been forced to include in the Service Management Qualification Scheme approved on a preliminary basis by ANSI. Perhaps these are clues as to the reasons UKAS suspended their PRINCE certification scheme??? Submitted by Alison Adams on Sat, 2007-11-03 08:02.
based on this and most of the other V3 threads, I think you need to mod your 'It'll be fixed in V3' merchandise to append a scrawled on 'SP1'. How much would that annoy APMG ?! I think I will set up a stand selling them at itSMF events ! Submitted by skeptic on Sat, 2007-11-03 09:24. Actually I reckon the business opportunity is for second-hand V2 books, since TSO is so hell-bent on only publishing V3. They'll try to force the market by retiring V2 and someone will clean up on Amazon. Submitted by Alexander Kist on Mon, 2007-11-05 11:04. Second hand only goes so far. (@Ian Clayton) I never meant to suggest in that thread that people should STEAL the V2 IP but simply that there should be ways to continue publication of IP that is DIScontinued by its owners. I've had this discussion with several people in the periphery of the itSMF NL conference and there seems to be some consensus that a UK Crown Copyright can be used by "the market" as long as the appropriate fees are paid. (@Jan van Bon): building on the idea of V3 vs L3 it seems to me that someone in the publishing business could put together a Service Support and a Service Delivery book adapted to "connect with" V3. Shouldn't be too hard either as all the processes are still there. I'm sure the certification industry would be thrilled to put together exams. Submitted by ianclayton on Mon, 2007-11-05 16:59. V3 has just about everything v2 had in the way of practice-level (process) information. It also pulls forward bits from v1. The big difference is in philosophy and approach. V2 was centered around enhance/replace a process area as listed within the v2 books. At the heart of v3 is the service lifecycle. V3, with CSI, implies you find a problem within the lifecycle and make a change, an improvement - that makes sense to most if read as though small and incremental, not replacement. The area of change is scoped by a lifecycle stage - similar to how improvements are applied in some business operations, such as manufacturing. This approach has given us success at some of the biggest US accounts since our inception in 1996. We feel a third book is needed - but to explain the difference in philosophy. Submitted by jvbon on Sat, 2007-11-03 09:30. There will be considerable demand for V2 books, so that may help you through the winter. I've heard from several countries that they rather ignore the entire V3 stuff and just concentrate on V2 - which is completely understandable if you know anything about maturity schemes. Actually, I think V3 should never have been called V3 but rather something like L3 (level 3). Submitted by ianclayton on Fri, 2007-11-02 21:17. Foundation paper(s) STILL being moderated! "Moderation on the recent Foundation paper referenced in the previous communication is nearing completion, and it is expected results will be released from next week. The moderation has resulted in a significant increase in the pass rate for this paper, ISEB requested a statement from APMG to explain the reasons for the poor initial result on this paper, as soon as it is received it will be forwarded to all ATO’s." We have had less than stellar results of late after a good start. The only change has been candidates and exam papers. The candidates are V2 certificate holders. We complained - probably contributing to this latest round of moderation. It begs the question... "WHAT THE HELL IS GOING ON!!!!" Submitted by jvbon on Sat, 2007-11-03 08:55.
the TSO book may be missing a number of key concepts but the updated Foundations from itSMF isn't. It covers all elements of the syllabus and a lot more. In the past, many Foundations students from all over the world have used the itSMF Foundations publication (or the Introduction to ITSM which covered the same content) to prepare for their exams. The updated V3 edition covers all the material you need to learn for a V3 Foundations exam. Like its V2 predecessor, it's cheap and its going to be available in several languages: the first translation projects are already running for French, Japanese, Spanish and German. Submitted by ianclayton on Sat, 2007-11-03 16:05. Nice plug but.... the previous Introduction to ITSM book had flaws and had some items added and other completely missing so forgive me if I wait until I actually see a copy. By the way, did you know that it was favored and used by EXIN (not ISEB) as the basis for generating their V2 exam questions without anyone knowing! (I can disclose this now). As an example of the confusion caused, a question in the v2 Foundation exam transposed 'distributed (as used in Intro to ITSM book)' for 'local (as used in official ITIL book)'. So folks got the question wrong unless they had read both books! I suspect APMG will use this as a viable pressure point to encourage folks to use the 'OFFICIAL' books. That said, I'm sure the book will be a cracker, but its more likely folks will rely upon the 'official self study' guide from APMG/OGC/TSO. Another book that should have accompanied the launch of the syllabus and exams! Check out my ITIL Hop-Scotch article for how many rollout steps (oops sorry deployment) they actually executed. Submitted by jvbon on Sat, 2007-11-03 17:43.
if this was a plug, I would have concealed it. Besides, if a comment like this is perceived as a plug, it would mean we'd never be able to discuss any publication here, even if it would be free downloadable, since there always is an interest attached to any product - even to the love of a man for his wife. So let's forget about the 'plug' thing. The flaws in the V2 edition must have escaped the eyes of lots of other ITIL experts: I think the text has been reviewed by at least 150 people, most of them very close to ITIL, even the authors, and in various editions. I will be the last one to deny that there are errors in any of the 50+ books I've produced. But if that means that you won't use them, I think you're the one suffering most. Besides: if the fact that there are errors in a book would mean that we shouldn't use it, then we should forget about the ITIL books (V1, V2 and V3) ASAP...... If I see the public databases with errors found, it wouldn't stand a chance. And the TSO Introduction is in no way different from the rest. Read it and see for yourself. So this comes down to the one question: does a publication add value for you? I'll send you a copy of the itSMF Introduction; you can buy the TSO one yourself. If you've read them both, I'd be happy to discuss added value. But not in a public forum - it obviously would be perceived as a plug. Submitted by ianclayton on Sat, 2007-11-03 18:06. I rescind the plug comment and apologise. Unnecessary comment - and it prevents or inhibits this type of useful conversation in an open forum. It was just this was not your first reference to this book in the Skeptic's blogs. As for the Intro to ITSM V2 book - it was an ok book. It did not address Financial management properly, along with a few other areas. My problem was with EXIN using it as the basis for their exams because it was cheaper and better formatted than the 'official' books. Unfortunately, it did ADD terms and left out others and these crept into official exam questions. A similar situation occurred with the itSMF glossary of terms and ISEb exams. For example, root cause and service quality plan were dropped out of V2 books but included in teh glossary - so they appeared in questions. Study Guides have to be the definitive reference and this will be the challenge for APMG/TSO. The study guide will obviate the need for folks to buy any other book - including the official Introduction to the Service Lifecycle, which is also missing key elements found within exam questions, and the five core books! What I meant was the book should not be used on its own to study for the exam unless there is proven consistency and it is recognized or has been deliberately written to cover all exam aspects. Unfortunately, the latest Manager bridge sample questions indicate all too well how easy it is for APMG to go outside of the official books when asking a question! Submitted by skeptic on Sat, 2007-11-03 18:46. I assume then Ian that you embrace the advent of APMG with open arms as an essential step forward to achieving some consistency between ATOs. Submitted by HenryGale on Fri, 2007-11-02 21:53. Don't worry - the new book due out this month will clear up all our ills - 'Passing your ITIL Foundation Exam', as approved by APMG. Not quite sure which version of the syllabus it will address, but apparently it helps for the bridging exam too. I am finally about to take the exam in November and am frankly terrified at the prospect, bearing in mind I hold the V2 Managers Certificate, have read and re-read the V3 books and have prepared course materials for V3. This exam should hold no fears, but with all of the confusion regarding syllabus and moderation, I can only hope that I manage to pass! If I feel this way, heaven help "an ordinary punter"
Submitted by ianclayton on Fri, 2007-11-02 22:05. Good news - no need for ATOs to teach ITIL Foundation! Does OGC/APMG/TSO care about an ATOs business plan in all this? Or are we just the marketing arm and dustpan and brush brigade? Submitted by HenryGale on Fri, 2007-11-02 22:22. Submitted by JamesFinister on Fri, 2007-09-07 15:36. Is the title of the thread correct? Reading through the comments by trainers on this thread the impression I get is that they are the most vocal in raising their concerns about the exams, having the best interest of their delegates at heart. Isn't incompetence as good an explanation of the issues that have been raised, rather than any commercial conspiracy? Submitted by skeptic on Fri, 2007-09-07 19:52. Possibly. It is difficult for any committee to produce a competent result. It is especially difficult if the committee are all competitors of each other, and if their customers are not represented on the committee. And the reason customers were not represented is because nobody represents us. Submitted by Alison Adams on Tue, 2007-09-04 16:07. I have just completed my first delivery of a V3 Foundation course, using material from a global ITIL consulting and training organisation. There were some good bits which I am happy to share another time, and I have some general issues with the breadth and depth of the syllabus, the timescales and the supporting material (where is our 'Little ITIL' equivalent ?) but the key outcome for me was the not-so-good bit: most of the delegates came out of the exam feeling really really bad about it. This happened after doing a mock exam (sample paper 4) and talking through some of the other sample questions (paper 3). Most of the group felt reasonably okay about their level of understanding, and what to expect and most had passed the mock (from borderline up to 38, 39 points). Their subsequent experience was broadly consistent ie that the actual ISEB exam was a whole different standard to the sample questions. A qualified and experienced ITIL Lecturer of 10 years who took my class as preparation for delivering it herself, also reported some surprisingly difficult (for Foundation) questions. Surely it is reasonable to expect that the sample questions are just that – representative of what could be in the real exam ?! My group were mostly capable of doing well at V2. I am now nervously anticipating their V3 results – from their feedback, it wont be pretty. Submitted by Alison Adams on Thu, 2007-10-04 08:42. An unexpected conclusion to this particular course – I received the results today and apparently everyone passed. Even the delegate who only managed 18/40 in the mock paper that by all accounts was a lot easier than the real exam paper. Is this what moderation means ? I would so love to see those answer papers. Submitted by autsilk on Thu, 2007-09-06 15:01. I just finished the ITIL V3 Foundation Class and am in total agreement with Allison over the exam. The exam spends 75% of its time skimming theoretical strategy material (at uneven detail levels from "Foundation" to "Practitioner" level) and are poorly worded. The rest includes questions from the basic processes that again range from Foundation to Practitioner level.This class should be given at the END of ITIL V2 because almost none of the basic processes can be covered in the 3 exhausting days. 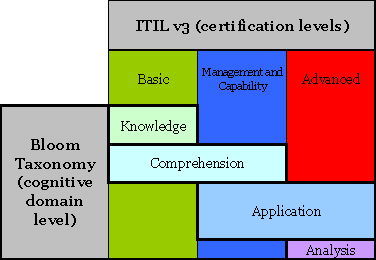 I left feeling as if I learned very little except an ITIL V3 certificate (maybe!). Submitted by ramesh (not verified) on Thu, 2007-09-27 13:07. Submitted by skeptic on Thu, 2007-09-27 18:40. The books are copyright material. It is theft for people to distribute them without payment. You can purchase them from Amazon or from TSO. For other readers: many of the forums have request such as these for pirated copies of ITIL materials, both books and training materials. I did an article recently on the thieves who work eBay. There is a community who cannot or will not pay for ITIL and operate openly soliciting and delivering copyright material. Submitted by Visitor (not verified) on Thu, 2007-09-27 21:23. Market forces aren't helping. I understand the first printing of v3 sold out. While the publisher will certainly make more, the books are becoming harder and harder to find in the US. The price of used copies keep creeping up. Submitted by skeptic on Thu, 2007-09-06 06:54. Submitted by Lynn Jackson on Mon, 2007-07-16 09:15. Sadly, we need to be aware that we are taking about 2 separate universes here. I bought the V3 books in June and have been using them extensively in my role of Senior ITIL Business Analyst, upgrading ITIL on a client site. I have found that ITIL V3 is a solid build on V2. It covers gaps of the older version and with the holistic Service Lifecycle is of immediate use and benefit in the real-life world of Service Management implementation and operation. And then there is the Training universe, which in my view is a complete mess. The stakeholders in this universe have different requirement from the real-world proponents. They have business models from which they are not prepared to deviate and which cannot cope with the bigger and better V3. They are not clear what they want each level training to achieve and are too frightened to be honest with customers and state that Practitioner Level will be the minimum useful qualification. I also train ITIL Foundation but have now stopped as I cannot see the benefit the current curriculum will give to candidates. What is happening is that I am being asked to provide bespoke training courses for the client: they want knowledge and application advice, they don't need certificates for certificates sake. I am happy to give the client what they need. Submitted by Ian Clayton (not verified) on Thu, 2007-07-19 19:30. Availability: CFIA - book version is woeful and does not address need to CFIA a business activity! Submitted by HenryGale on Fri, 2007-07-20 22:09. And where does this go next? I have watched this blog build with interest - as an ITIL trainer and consultant, I anticipate being in the same situation as Lynn in the "real world", and in the training world the confusion just reigns supreme. Why the ATOs should be responsible for telling the world what they want in this new version is beyond me - surely it should be the owners of the qualifications who have the responsibility to define and agree the best mechanism for educating and testing knowledge of the framework. The ATOs then provide the required and desired training through delivering a suitable syllabus which meets the needs of both the businesses using the framework and the owners of the qualifications. It is the lack of clarity of what is being tested and why, that is causing these issues. Is it not time for the owners to step up and admit that the new framework (although very good in parts) is not suitable for the same education structure as before and that we all need time for this to be planned, tested and developed. If we could all stop trying to rush unsuitable qualifications to market to meet a non-existant demand, to deliver an ill defined structure, then I'm sure blogs like this would not be needed! Considering the push by 'the powers that be' to encourage the idea of the IT Professional, an individual who takes recognised qualifications that are understood and respected in the market place, this has frankly made our 'profession' look distinctly amateurish, as we cannot even be seen to agree a suitable measure for our own skills. Which book do I look in for the measurement of capability? Perhaps the answer to our training conundrum is hiding in plain sight? Submitted by Liz Gallacher on Wed, 2007-08-08 19:56. "The original papers 1 and 2 have been extensively revised following feedback received from many Training Providers and have therefore been reissued ." "a number of Training Providers have heard rumours regarding the withdrawal of the Foundation exam and syllabus. I have contacted APMG who have confirmed that the syllabus will stay live as it is until September at which time APMG will have a routine review based on the first few months of V3. " As I am about to deliver my first V3 Foundation (gulp!) I would be interested in any comments from anyone who has already done this , what they thought of the mock exams , and what the success rate was in the actual exam. Submitted by Ian Clayton (not verified) on Sat, 2007-08-11 21:40. Hi Liz - first a public health warning - I am renowned (infamous) as being one of ITIL's harshest critics - I admit this from a singular goal - to provide my customers with the highest quality product. I have delivered two classes last month and have more than ten years experience in delivering ITIL certification classes at all levels. I have personally trained many of our current competitors and have over 33 years experience in IT. To your question - the success rates were lower than 'normal'. The average score seemed to drop by 4-5 marks from what we would have expected. I knew the attendees and some had a reasonable amount of ITIL expertise, many were very experienced ITSM practitioners - very. A handful were beginners in ITIL. So we had a very good cross-section. I had previously expressed my disappointment with the quality of the ITIL Foundation syllabus which seems to suffer from the lack of the 'Intro to the ITIL Service Lifecycle' book. As instructors we are faced with covering 2000 pages and 50% new content, spanning an MBA101 and blue collar view. The use of Blooms taxonomy theory by the examiner panel is at best shallow. The sample exams have now been (rightfully) withdrawn and these are what we prepared our customers with !!!!! This whole scheme is a shambles and we now have to show a disclaimer slide to start the class. You will need to run pilots with friends and family first or offer them at a major discount with the disclaimer - 'anything might change'. How some folks can charge $2,000 is beyond me - back to the old 'buyer beware' excuse. Throughout this the ISEB and our long-standing partners CSME (US) have been superb, holding the APMG feet to the fire in any way they can. Now we have new samples - good news I suppose, just bad news for those who had to suffer going early. Feedback from class members was that there is too much content, the strategy topic is recycled theory that those with V2 background would prefer to do without. The newcomers to ITIL came for the how-to information and were displeased at trying to cover 25+ 'processes' instead of ten - they see it as more an awareness class. Generally they do not see how 40 questions tests anything given the scope and I do not understand why APMG will not use 'control questions' as used by most sensible folks, these don't score and allow for field level testing. Submitted by deaf-llama on Fri, 2007-07-13 12:50. I've read with great interest and much empathy the comments here about the suitability and content of the ITIL V3 Foundation(s) course. I think I have discovered why I'm ill at ease. At the outset of this post,I should indicate that I'm writing from the perspective of an established trainer and educator over 25 years who has NOT been involved in defininition of the official syllabi of either V2 or V3 Foundation courses, but has been lecturing on ITIL at all levels for 7 years. Comparison of the official syllabi for V2 Foundation (see reference 1 below) and V3 Foundation(2) makes it clear that V3 Foundation has different objectives to V2. The ISEB syllabus for V2 never actually stated purpose, objectives or target audience, let alone learning outcomes! It simply stated that it was based on the Support and Delivery books and listed detailed topics to be covered (the 10 processes and Service Desk function). Consequently, training vendors defined their own formal objectives and target audiences, recognising as training professionals that this was essential. With experience of training delivery coupled with knowledge of past examination questions, we lecturers adapted our slides and approach to meet the demands of the audience. Frequently, in response to delegate questions, we discuss details of process activities and aspects of the implementation of ITIL. I note that many V2 slide-sets include the detailed Change Management diagrams in them, encouraging such discussion. Further, from my own experience, I recall that some vendors developed the V2 Managers course first and then used some of those slides for the V2 Foundation materials, again encouraging process detail and implementation focus. In contrast, V3 training has been precisely defined in terms of learning objectives (called "purpose"), learning outcomes and target audience. V3 training, as indicated by the Chief Examiner(3), has been based on well established theories of education - Bloom's Taxonomy of Learning Objectives (4 & 5). V3 Foundation(2) addresses only the Knowledge and Comprehension aspects of Blooms's Taxonomy with absolutely NO coverage of Application of knowledge. Furthermore, in the Comprehension level, the delegate is only expected to comprehend "the core principles of ITIL practices for Service management". Principally, delegates attending the course will "gain knowledge of the ITIL terminology, structure and basic concepts". So, it is essentially, a 3 day ITIL Overview course. No wonder I find it so strange when I compare it with the V2 Foundation! Now I've realised this, I can see how to proceed. Further, there will be a greater need for Foundation delegates to attend higher levels of ITIL training, the Lifecycle and Capability courses, hopefully keeping us all employed! Submitted by Ian Clayton (not verified) on Sun, 2007-07-15 06:40. I think you might want to unmask yourself. Your analysis is founded on a special definition of 'Foundation' and you seem to lack the customer (victim) perspective. ITIL was originally marketed as offering a common lexicon and definition of terms and concepts that would allow fellow service management professionals to converse using a common language. The Foundation exam was designed to ensure the candidate knew that language. As for your reference to Bloom's taxonomy, IMHO, the examiners have singularly failed to recognize this to date, and seemingly misunderstand what the first level (knowledge) means when setting questions. The questions should focus around one or more of the following keywords: Knowledge: arrange, define, duplicate, label, list, memorize, name, order, recognize, relate, recall, repeat, reproduce state - they do not. My class's reaction to the exam last week was dismal and damaging. The level of questioning was inconsistent, ranging from 'in which book would you find a process', to 'where in the system v model would you find x'. Given the 2000 pages, 25 processes and nearly 500 new terms and concepts it offers both the candidate and tutor an impossible task. My prediction is that training companies will once again be forced to either teach and be damned by results, or coach to the exam. This is EXACTLY what we hoped the move to APMG would leave behind us once and for all. The ITIL Foundation syllabus (which recommends the trainer use their own approach!!! ), and exams are flawed and in test mode. My customers are lab rats. Submitted by deaf-llama on Thu, 2007-07-19 14:17. Re: An inside job? Check a feature of this blog. A feature of this blog is that names in mauve at the end of a posting are links to the identity of the author including optional material providing the credentials of the poster (as suggested by the IT Skeptic). Unlike many here, I registered with IT Skeptic (including my genuine credentials) before posting my reply titled "ITIL V3 Foundation is a 3 day ITIL Overview". Anyone who wants to, can see who I am with a single click. Definitely, not an inside job, simply analysis of the situation from the perspective I stated at the outset of my post! I agree with your list of verbs that relate to Bloom's Taxonomy Knowledge level: " arrange, define, duplicate, label, list, memorize, name, order, recognize, relate, recall, repeat, reproduce, state." To my mind, the question examples you quoted do fit with "memorise", "name", and "recognise". Also, knowing which book covers which aspects of the Service Lifecycle is a core fact for V3, so I'd personally have no issue with that question. The other question on the V-model, it is true, is detailed, but I cannot believe your course doesn't cover that model since it is a specific item with a line to itself in the syllabus? I agree, it is extremely challenging for candidates to memorise, recall, recognise (or any of the other verbs) any fact from the 2000 pages of the 5 books, but to be fair to the examiners that is an exageration of what is expected. The V3 syllabus defines the actual sections to be covered, so it is far, far less than 2000 pages - but I haven't counted how many pages. Knowledge of facts has always been a challenge with the multi-choice Foundation exam. For example, a while ago, after an old exam became a practice exam, my colleagues and I were surprised to discover one question included the word "duplexing" as one of the answer choices. The word "duplexing" appears just once in the Red and Blue books (ISEB's Foundation "syllabus") - in Service Delivery (Availability chapter). But, then at V2, all of the Red and Blue books was the syllabus, so we could hardly complain! At least the V3 syllabus is clear on what's to be included. The main thrust of my argument was the need for ATOs and their lecturers to recognise that V3 Foundation course objectives are different from V2 and to encourage them to set their own and their delegates course objectives accordingly. I wasn't attempting to give an opinion on whether customer needs were being addressed or not. Clearly, some of the posts here are very against the V3 training approach - neatly summed up by Lynne Jackson - but this is a sceptical site after all. I would expect that a Training Needs Analysis has been conducted by the V3 Exam Board leading to the approach adopted. There was after all an extensive public consultation on V3 Refresh that should have included input on training needs. Perhaps, one of the Exam Board could confirm that? Perhaps a way forward for ATOs is to use the soon-to-be-published "Official Overview of the ITIL Service Lifecycle" as a course book (rather like we use/d "little ITIL" published by itSMF,for V2). As yet the number of pages in that book has not been disclosed. Does anyone know whether the planned "Complementary Guidance" will include a resource book specifically for the Foundation course. I recall a suggestion that this was to be the case? That would be even better. Submitted by Ian Clayton (not verified) on Thu, 2007-07-19 19:19. Please accept my apology for the 'insider job' dig - it was the result of mistakenly blogging after 28hrs of travel. Your point about the "duplexing" item is exactly the point I was trying to make. The initial reaction from recent candidates is that this habit remains in the new exams. The system-v is covered in our class as are what we hope are each of the concepts mentioned in the syllabus. The syllabus discusses these items as 'concepts', and I challenge anyone to remember what is in any box at any time amongst the 300+ figures for the sake of a single question. The exam should either be expanded, as should the class (this is a 4-day minimum class), or the exam elevated nearer Blooms original guidance whereby the candidate is tested on the general scope, benefits, problems, and ownership and definition of key artifacts. In addition, the exam should use language that is exact, or consistent with that in the books and not seek an opinion based upon a read of multiple sections - this is a different level of Blooms entirely. My thanks to you and the Skeptic for this valuable thread. Submitted by Liz Gallacher on Fri, 2007-07-13 15:56. 2. whether the industry actually wants (as opposed to should want) its more junior staff to have knowledge and comprehension without application. Many students will not get the opportunity to do the later courses, because their employers won't send them on the foundation course. I have never heard any clamouring from the industry for a course such as the new V3 - if ther had beenm we would be dealing with a pent-up demand now V3 is available, rather than requests to stick with V2. I can't help feeling that the syllabus is based on what the committee felt the market should want, not what it does want. Submitted by Ian Clayton (not verified) on Sun, 2007-07-15 06:50. The V3 content and qualification scheme is a result of the few given the many what they feel is good for them. As a Brit I feel it is so British - we still believe the world needs an Empire and someone to lay down their law, trading and social system. I have lived and worked here in the US for more than 20 years and I can tell you folks need 'how to' help at the level of how to stop a dripping tap. It has to be practical and short term first. Once a professional delivers results and consistently over time, management is prepared to listen to a bigger scheme - 're-plumb the kitchen!'. ITIL was fringing on irrelevant in 2003, two years after the last refresh, hence this one. We attended the US requirements meeting and represented the itSMF USA members - the refresh team were told in no uncertain terms - no big schemes, more how-to please. The V3 offering, although laudable, was the first of what is now a series of examples of the ITIL inner circle doing what they feel was good for the masses. It has been launched largely unseen and untested by the market. It is being launched against no competition and through established friendly channels. It should only succeed. yet, first reactions are beginning to come in as over-inflated, over-priced, over-complicated, and from over there. The ITIL Qualification Scheme is not half-baked - it is not even in the oven!!! ITIL is now a commercial product and I feel about to feel the true heat of being in the consumer kitchen. Submitted by Visitor (not verified) on Fri, 2007-07-13 14:53. That was tremendously helpful. Thank you. Submitted by Dan (not verified) on Fri, 2007-07-13 09:35. I have to admit, that I'm new to ITIL (I do hold other OGC Certs) and looking in to the V3 Foundation Exam, I've read through the syllabus and it does look quite heavy and seems to cover a lot of ground. I might be missing things here a little bit, but this is the foundation and the ITIL Foundation has become a dime a dozen certification. Considering this is meant to be an overview or introduction to ITIL how is it placed? From the above comments, not so well. Of the people who sit the Foundation, how many have gone on (ITIL v2) to the Practioner/Manager Certifications and how many will go on, in ITIL v3. I'm going to look at the ITIL Certification a bit like a university degree (they are calling it the ITIL Diploma now), in that the Foundation is a very broad overview and that the real content and indepth understanding will be broken down and expanded upon in the Capability and Lifecycle Streams. If you remember, in University, you have a common first year (Foundation) before you specialise. As for the Foundation being too short, most likely it is. Another pressing question I'd like answered from the ATOs, is why aren't evening and weekend courses offered? Being a contractor, I don't want to go to a course during working hours, it costs me twice, the money I lose while I'm not working and the cost of the course. Having weekend and evening courses would / could break it down in to more easier chunks to digest. As for there being no introduction book, there seems to be enough expertise reading this blog for a collaborative effort in producing one? Submitted by Liz Gallacher on Fri, 2007-07-13 10:21. There are occasional weekend courses offered in the UK, mostly for contractors and others who are paying for their own training. There is limited take-up, although if anyone is interested many trainers such as myself would be happy to oblige. I have never seen evening classes offered, although we have discussed this and think it would fit very well. Evening classes would allow a 2 hour session on a topic, followed by reading homework, and an exercise the following week. I think it could be really good - but I have never been asked to provide it. There is a danger of numbers following off as the course goes on, as with all evening classes. Submitted by Visitor (not verified) on Fri, 2007-07-13 07:22. The other issue for me on this is that V2 Foundation works so well because, as both an Instructor and a Consultant, I'm able to bring the course alive for the students and put as much as possible into context for them. As such, it is easy to show how ITIL can benefit organisations and how it has been adapted to suit different environments and cultures. V2 therefore follows the curve and reflects what's actually happening. V3 Foundation unfortunately places everybody in the same boat and becomes a theoretical exercise with no context or link back to the real world. It is all theory with no anchors nor, from what I can see, does it necessarily reflect best practice. It has become an exercise in 'wouldn't it be great if...'. It tramples all over Project Management but doesn't show how or where it fits in and, because it is a distillation of several hundred pages of manuals, leaves too many questions unanswered in the minds of the students. I have a lot of practical real world based experience and can see why certain processes and functions have been placed where they are. However, for example, I've also seen so many different ways of designing and implementing services that I can't relate that expertise to V3 and discuss it as 'best / good' practice. All I can do is stress this is seen as the best way forward and leave it to the students to see how it would work in their environment. So what value am I adding? They might as well save their money and read the books for themselves. And in so doing they will come up with the same problems and confusion that I now have with no easy answers. So is V3 Foundation reflecting what's happening out in the real world or is it merely documenting a series of processes that appear to have been arbitrarily assigned to different stages with little thought or explanation as to why this should be? If it is the latter (which I fear it is), then we will all struggle to drive this into organisations because on the basis of this course, it is difficult for people to relate to it. For this to be taken seriously, it requires CEOs to completely review how their organisation works and how it must fundamentally change to reflect the new 'paradigm'. I can't see many disrupting the apple cart to do that without investing $000s in consultants and courses (maybe that's the idea) and then hitting a huge cultural backlash when the Program Managers suddenly realise they have to dance to a different tune. This course should take an entirely different approach; it should ignore the processes and instead concentrate on the service lifecycle using real world proven examples, focussing on the benefits (especially ROI), and provide a kitbag of techniques for handling the cultural issues. In so doing, it is more likely to create evangelists who can go forth and spread the good word. Details on process and function can follow later. APMG have rushed this to market and in so doing are in danger of seriously damaging the value and potential for V3. Submitted by Ian Clayton (not verified) on Fri, 2007-07-13 05:46. More on this next week after we run our second ITIL Foundation pilot as part of confirming what we have been saying for almost a year - too much material given the number of moving parts and limited exam. Its impossible to choose the depth of content as an instructor given there are 40 questions over 2000 pages of content and the detail has doubled. Pierre is clearly protecting his ATO business position here. the syllabus is flawed as well, hence the comment by the examiner panel at the outset of the syllabus recommending the instructor design their own approach and NOT use the order of the syllabus!!! We have decided on a lifecycle driven core despite the lack of the lifecycle intro book (another huge blow to most). Why - because we can use the lifecycle documented in the ITSMBOK, which is well represented in the Design book in a key diagram that show the lifecycle stages of a service. This is a mess that has not been tested and I have a disclaimer at the start of our materials - a first and an embarrassing indictment of the matters. The sample example are also flawed - they contain incorrect answers and plain wrong references to parts of the books. They are also missing the explanation in the key which in part help guarantee quality if developed. It makes the examiner double check their question design. Submitted by Liz (not verified) on Fri, 2007-08-17 12:37. V3 Foundations Syllabus - Yikes! I'm an instructor and course developer for an ATO and have just completed our Beta run of the ITIL V3 foundations. Wow is all I can say. It is very much a mess with the sample exams that have incorrect answers, and no rationalization with each answer. My students were very frustrated. We learned a lot, will edit the course to try to make it flow better and give more information...and we'll see how it goes. I took the V3 foundations exam...and it was really no worse than v2...but I also have all the books (unlike the students) and had more to study with. Submitted by Liz Gallacher on Fri, 2007-08-17 14:43. This thread is getting confusing - with 2 Liz's both trainers and developers of training materials for an ATO!! I too have just finished my first V3 Foundation as a tutor, and I was very glad to survive the 3 days. I was using good licensed materials, whilst we develop ours, but that was of only marginal help. Despite my best efforts, the students were very put off by all the service strategy material. If I had not got onto more practical aspects as the day wore on, I was fearful that they would not come back for day 2! They could not see the point of it all, and were anxiously asking if the exam was compulsory. They all but one managed to pass the (new) Mocks, so I am keeping my fingers crossed. I did not enjoy the experience, and neither did they, at least the first day. I cannot believe that in 6-9 months the syllabus will not have been revised to reduce the strategy part. Submitted by Liz Gallacher on Fri, 2007-07-13 00:11. I don't understand the comment about the V2 course fitting nicely into 2 days. In the UK it is always 3 days. This has allowed sufficient time (just) to show attendees not just what they need to know about their job "Everyone in IT must understand why they are doing thier job" but also how it fits into the whole of Support and Delivery - the impact of what they do on everyone else, and what needs to be planned ahead to make IT deliver for the customer. In 2 days this must be impossible! So we are going from a 3 day course which was already crammed, to another 3 day course which has dropped large areas (or reduced them so much that they don't make sense) to make way for strategy, design etc. I fear the result is that there may be too little detail to be useful, and yet not enough time to cover strategy, design etc. adequately. 4 days would have been better. The first group will be happy with V3, the 2nd will not. As for this being a money-making opportunity for trainin providers, many smaller ones are fearful about the impact of V3 on their core business. Submitted by skeptic on Fri, 2007-07-13 00:59. Submitted by Ian Clayton (not verified) on Fri, 2007-07-13 05:54. Unfair comment on Yanks.... from a converted Brit! Unfair - the 2 day class was proposed by a number of the influential ATOs so they could process more candidates! It was NOT customer driven. As we all know it is feasible if your are coaching to the exam and not interested in the interests of the customer beyond getting them certified - something we could all do over the web with the Glossary and a few sample questions. Liz is so correct - the class needs, and should be three days. When we run it in 2 it is at the request of the customer and actually is based upon number of hours. These events typically involve high paid consultants who are working on projects with ITIL as part of the RFP - so they are just interested in a quick certificate. Submitted by skeptic on Fri, 2007-07-13 06:08.